UPDATE (3/19/2013): I have updated the tables and figures below to incorporate the newly available GSS 2012 data here. While the analysis below is generally still applicable, the models have changed. 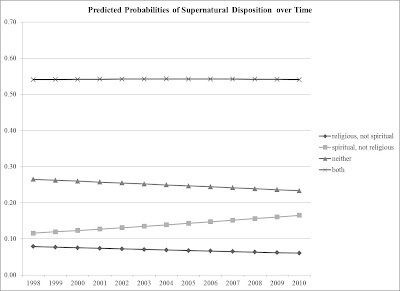 The probability of identifying as both religious and spiritual has remained remarkably consistent between 1998 and 2010. 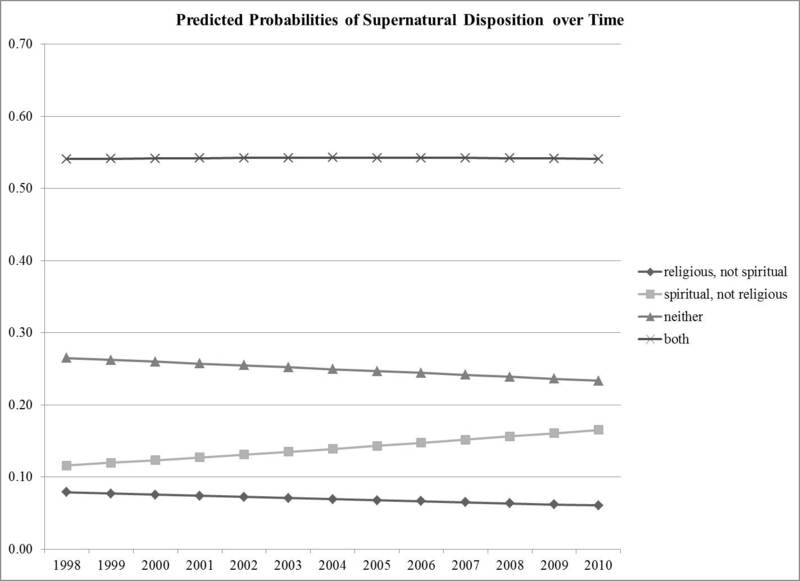 The probabilities of identifying as neither religious nor spiritual and religious but not spiritual have both declined over the same period, dropping about 3 and 2 percentage points respectively. 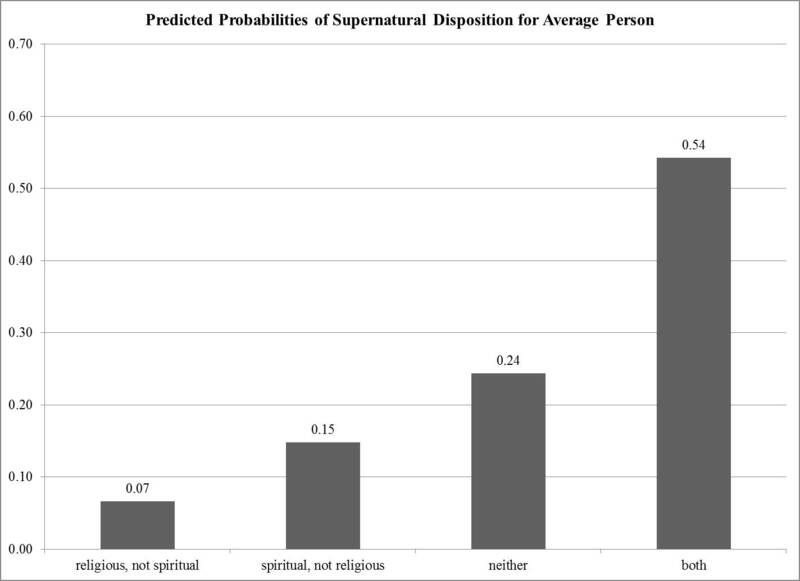 The probability of identifying as spiritual but not religious, however, has increased over the period by nearly 5 percentage points.